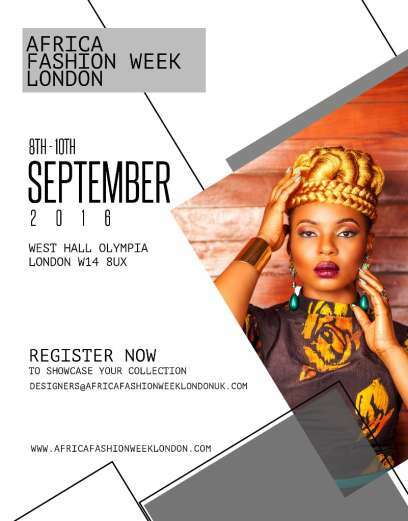 The 6th edition of Africa Fashion Week London(AFWL) will comes off from 8th-10th September at West Hall Olympia, Kensington London. AFWL veterans and new designers will showcase their latest collections at the event. Mary Martin London known for her ‘Cecil the Lion dress’ stole the show last year. South African Sherene Melinda will also be showcasing her accessories line. Victoria Grace returns as well, last year the designer showed off classic designs from the ‘70s. Emerging designers AAugust has also been confirmed for this year's showcase. The organizers revealed Yemi Alade as the face of the AFWN and AFWL months ago in Lagos.